Click +File or +Folder in the File Manager toolbar. A new window will appear. 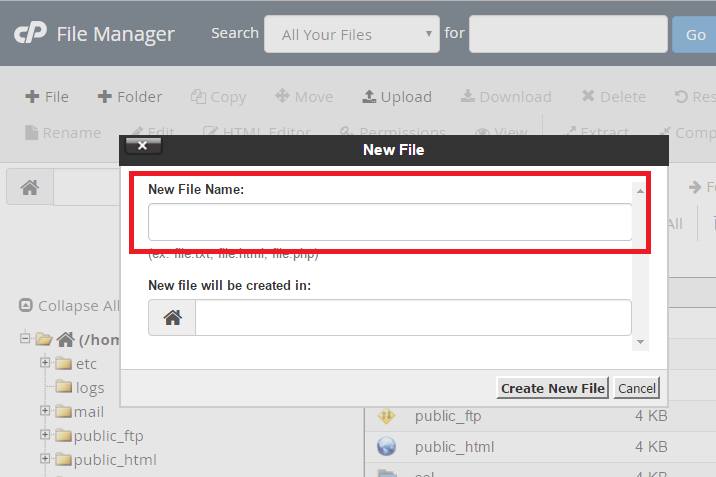 Enter the new file or folder’s name in the New File Name: or New Folder Name: text box. 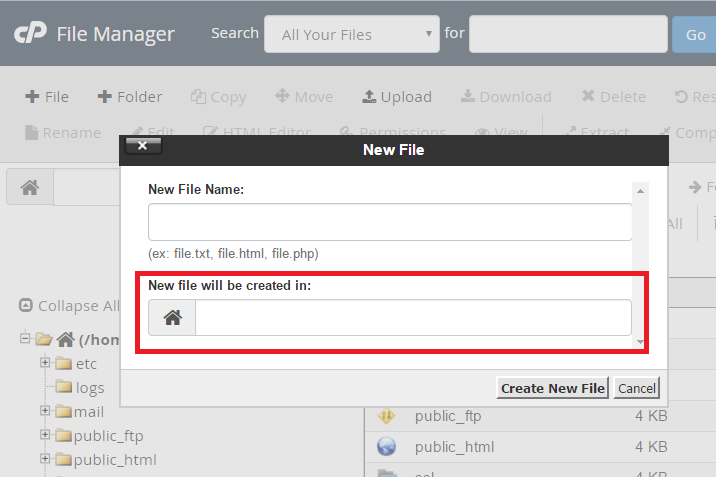 In the New file will be created in: or New folder will be created in: text box, enter the location in which File Manager will save the new file or folder. Click Create New File or Create New Folder to complete the action.